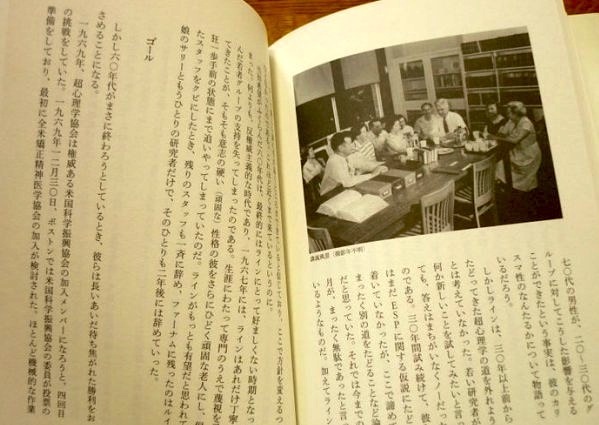 Stacy Horn » Blog Archive » The Japanese Edition of Unbelievable!! The Japanese Edition of Unbelievable!! 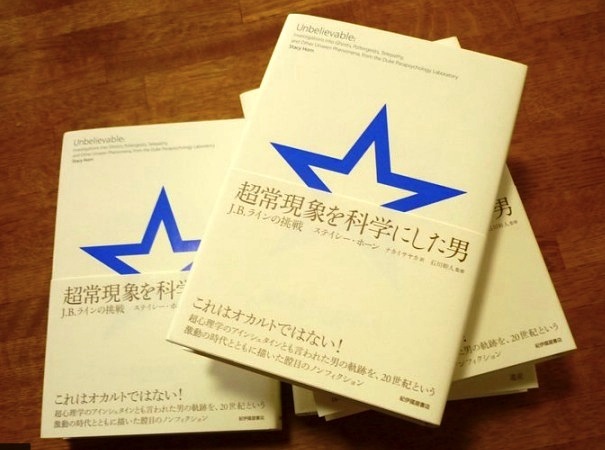 I have to run to a conference that my friend Steven thought I should go to and got me in to, but I wanted to quickly post that the Japanese edition of my book Unbelievable is about to come out!! I am so so so excited. Sayaka Nakai, the most fabulous and wonderful translator, posted pictures on Facebook. Thank you so much Sayaka, and Mr. Izumi (the editor) and Mr. Matsuda (the book designer). I am very grateful for all the work and attention and care you put into my book. I am beyond happy and thrilled. And nervous too! (I hope people buy it and love it.) But my nervousness aside, thank you all, and Kinokuniya, very much! Here is the really cool and sleek cover (I love the suggestion of the ESP cards, really smart) and ..
… a look inside! I love that they have photographs inside (the American edition did not). Woohoo!! Huh, we both had Japan on the mind today (check out my blog). Although yours is much more useful than mine is. congratulations! Very nice looking edition… very clean design. Thank you! Yes, I love the design. Karen, seriously, you live in heaven. I read your post so I understand that beetle is destructive, but man it is beautiful. YAY! Congrats on the new edition. Love the cover! Thank you! Yeah, I’m very happy with the cover.